6 5/8" overall. 3 1/8" blade. Black coated 1095 carbon stainless construction. Open handle design with lanyard hole and integrated bottle opener. 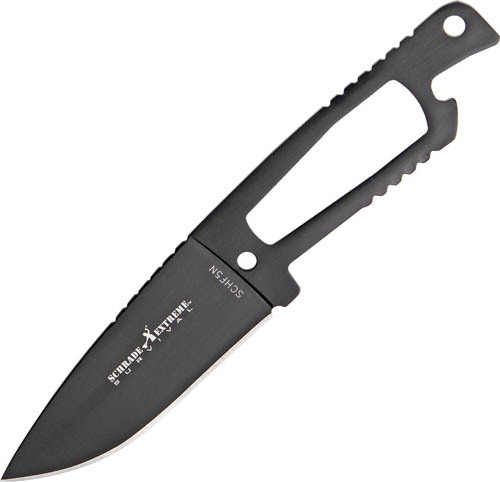 Black Zytel sheath with black stainless pocket clip and neck chain. Also includes lanyard.